So I don't know if this is a good thing or a bad thing ... but television programmes are a big part of my life and fill up the time when I'm not at work and so I find that I get attached to them - probably in a way that is unhealthy. I find it hard to express how I feel about the 'attachment' - maybe you know what I mean? You could say 'you grow up' with the programme - it airs once a week and time passes quickly in 'television land'. You get into a routine of coming home, having dinner and sitting down to watch it. You connect with the main characters, live their lives as you live yours, feel their emotions when they're upset or happy and develop some sort of relationship with them - even though they're on a screen and your in your bedroom. Over the years I will admit I became attached to many different programmes and cried and laughed with them - people who read this might think 'jeez this guy needs to get out more' but I'm hoping some of you will understand what I'm getting at ... that 'attachment' or empathy you feel towards the programme. Denny was a heart transplant patient and Izzy fell in love with him, she eventually lost her job getting him a new heart and then lost him to a blood clot - the rest of the staff found her crying and clinging to his dead body - a sad moment in Grey's Anatomy. Bonnie was the centre of the group and everyone loved her - she was funny and happy all the time and would do anything to protect her friends so when she 'died' it was a shock to everyone - they had a funeral for her however she was there in ghost form and Jeremy translated what she was saying to everyone - so a very special funeral - very upsetting. 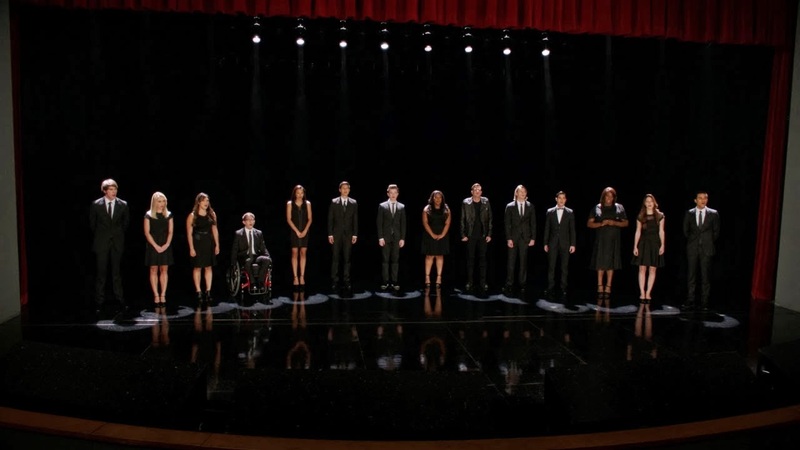 Sadly Cory Monteith passed away in real life and Glee paid an amazing tribute episode to him. They reminisced and showed how the characters dealt with his death. Sybil was the youngest and carefree sister of the family and fell in love with Tom (the chauffeur) - she fell pregnant and had a beautiful baby girl which Tom called 'Sybil' after her mum, sadly Sybil (the mum) passed away shortly after giving birth due to pre-eclampsia. Apparently the entire nation was in mourning. This moment in 'Once Upon a Time' had me in tears for hours (and I'm not scared to admit it) I fricking love this show - through the first season we got to see how all the characters met, fell in love, and came together before the first curse was created. Once the curse was broken (spoilers) Prince Charming & Snow (above) find each other and both say the quote they always say to each other 'I will always find you' - this gives me shivers every time. Revenge isn't really upsetting much as opposed to killing or framing but Amanda's death was upsetting especially when Emily told her she loved her (as a friend obviously, not in a gay way lol). Amanda was introduced early on and fell in love with Jack Porter (Emily's childhood friend) and they had a baby together, she was then kidnapped and died in Emily's arms when the boat blew up. Prue's death was rather unexpected - it was left as a Season 3 cliffhanger and as Season 4 started - she was gone, there was also speculation that she left due to tension between her and Alyssa Milano (Phoebe) as they didn't get on. Producers sided with Alyssa and Shannon was gone. The death wasn't too bad - she was thrown threw a wall, but her funeral was upsetting. The OC was one of the first shows I watched when I started working and was able to buy my own DVD box sets - Marissa had a bit of a crazy life but by the end she was heading off to work on a boat with her dad and was happy, however destiny had other plans - Ryan and her were ran of the road and the car tumbled down a hill and she sadly died in Ryan's arms as the car exploded. Especially upsetting as 'Hallelujah' was playing in the background. What are your sad moments of television? Do you watch any of the above shows? Visit John's profile on Pinterest. © ShoutJohn. All rights reserved.